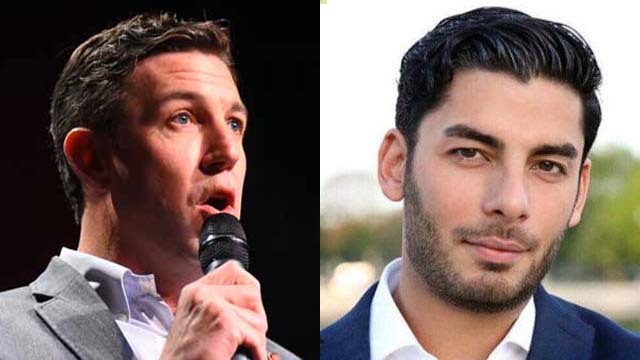 A new poll sponsored by Ammar Campa-Najjar shows the Democrat within one point to Rep. Duncan Hunter in the race for the 50th Congressional District in East County. The poll of 400 likely voters by San Francisco-based Tulchin Research was conducted Sept. 29 to Oct. 1 after Hunter suggested Campa-Najjar is part of an effort by radical Muslims to infiltrate the U.S. government. Campa-Najjar, a former Obama administration official, was raised in East County and is Christian. A paternal grandfather he never knew was Palestinian terrorist. The new poll, which was released Thursday, showed Hunter with 45.1 percent of the likely vote to Campa-Najjar’s 44.4 percent. The pollsters said that among those voters who have heard about the indictment, more than two-thirds say it has made them feel “less favorable” toward Hunter. Hunter and his father before him have represented the largely rural district in Congress for nearly four decades.